Visual artist Shaun Thurston painting a mural on Nighthawks. ​he amount of public art in Jacksonville has increased exponentially. Individuals and organizations work diligently to identify priority neighborhoods in Jacksonville where art isn't present and then raise funds to support public art projects. ​The Cultural Council has an ongoing initiative to map public art in Jacksonville. The map includes artist information and public art locations. It pinpoints pieces owned by the City of Jacksonville through the Art in Public Places Program, which is administered by the Cultural Council, and privately owned pieces. 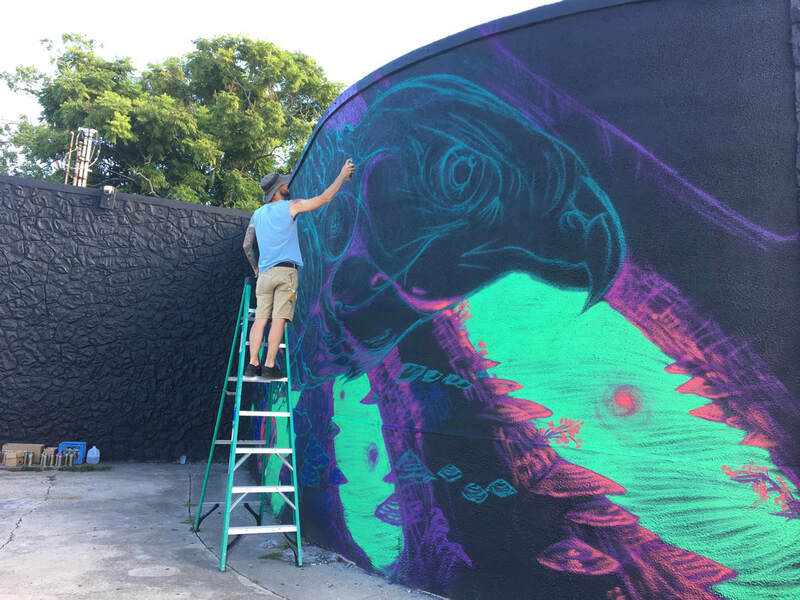 Examples of private public art initiatives include Art Republic, the Jax Kid's Mural Project, the Murray Hill Mural Project, and Sculpture Walk Jacksonville.